The Golden State Warriors have just been crowned as the 2017 NBA Champions, and we already miss this game. NBA is the most profitable sport for bookies, second only to NFL, the game has won the hearts of fans and gamblers alike and every year its popularity soars. Thankfully, the NBA has a long season, and we can get our fill of excitement and line our pockets with lots of cash, but as soon as it’s over, you start to miss it. 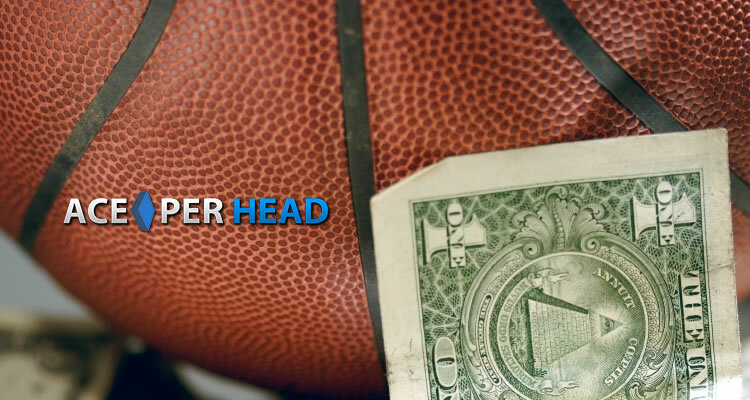 Over the years, AcePerHead.com has generated the highest profits in NBA betting in the industry, this has been achieved thanks in part to the expert line managers who move the lines like no one else can, but, a large part of their success is due to the NBA betting software platform. The betting interface is so intuitive and easy to navigate that players can’t help but to be impressed, and the extent of the betting options and the quality of the lines posted to keep them coming back for more. But, perhaps the one thing that excites the bettors the most, is the sheer volume of live wagering offerings available to them. The live wagering feature of the NBA betting software has revolutionized how the game is bet on, and it has increased profit margins to unexpected heights. Clearly, profit margins vary from one agent to another, but, more agents have reported increased profit margins since the introduction of the VIP Live Betting interface. The new season of NBA won’t start for another few months, but, there is already a lot of excitement and buzz talk after the NBA draft held these past weeks. Will teams regain their past glory with the new additions, will the Warriors retain their title or will LeBron James and the Cleveland Cavaliers soar to the top and regain their title? All these questions will be answered shortly enough, but, the real question for bookies now is, were you happy with your performance in this last NBA season? Do you think you could have done better, had you moved your package to a more experienced pay per head service? If you are not sure how to answer these questions, or if your answer is yes I think I could have done better, then it is time for you to consider switching your players to www.AcePerHead.com. This is the perfect time to switch, NFL betting season is coming soon, and the new NBA season is not far behind. If you act quickly, you can even take advantage of AcePerHead.com’s 6-week free trial, that is right, once your switch, your first 6 weeks are in the house, this will help you make up for some of the lost revenue during the last NBA season. The free trial is being offered as a special deal and it won’t last long, so don’t delay, visit www.AcePerHead.com today and chat with one of the account specialists to have your package set up in as little as 15-20 minutes, your players will thank you and you will be proud of having made the best business decision of your life.